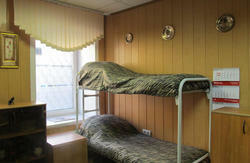 This hostel is located in the heart of Saint Petersburg, just a 5-minute walk from the central Nevsky Prospekt. Free Wi-Fi and a 24-hour reception are featured at CP Hostel. 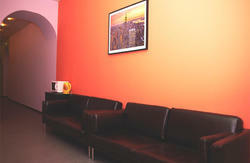 The private and dormitory rooms are air-conditioned and simply furnished. The shared bathrooms are in the hallway. Guests can cook their meals in the shared fully equipped kitchen, complete with a dining area. A variety of cafés and restaurants can be found within a 2-minute walk of the hostel. It will take you less than five minutes to rich our hostel from the closest underground station. Come to Vladimirskaya, go straight before you reach Sherbakova lane. Turn right and go straight up to Rubinshteina street. Turn right once more and here you are.